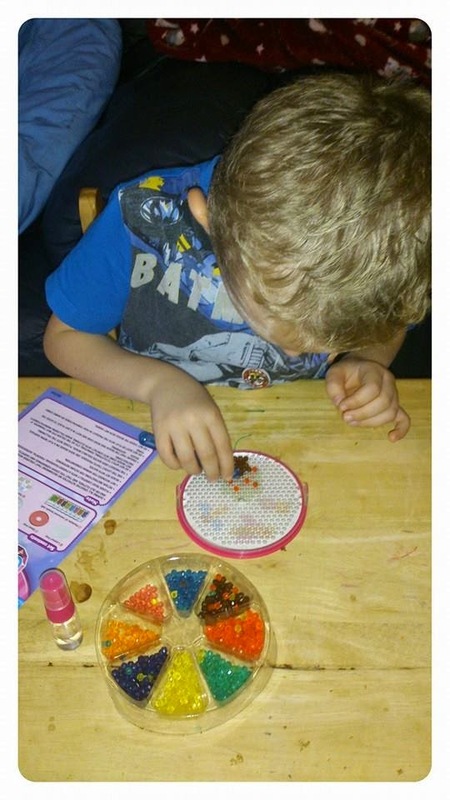 James loves anything arty, crafty or messy so when the Aquabeads jewel starter kit turned up new it would be a bit hit with James. Aquabead kits consist of small beads, a layout tray, several templates to follow and a water spray bottle. The idea is simple, easy to do and very effective. You simply use the small beads (there is a pen provided to help pick up and place the beads accurately on the layout tray with the template underneith) to create a shape, picture or design of your choice. Once you have finished with your design you simply spray the design with water and leave to dry. The design then peels away from the template and you then spray the back and you have your completed item! The Aquabeads Jewel starter set contains around 800 jewel shaped translucent, sparkly beads and also comes with a portioned out tray so each colour of bead has its only little section. As well as the flat picture type designs you can make with the kit, You can also made 3D type items such as a pen holder or photo frame and the kit comes with templates that you can easily follow to make these items! As I thought James loved this kit! I was a little disappointed that the kit seemed to be aimed at just girls with the box appearing very girly, pink and only featuring pictures of girls which initially put James off. After explaining to him it was for boys and girls and showing him what to do he loved it! I thought he may find the tiny beads a little fiddly to place but with the help of the pen he managed it with ease and loved following the templates to create designs and then seeing them taken off once dry. The kit kept him busy for hours!! 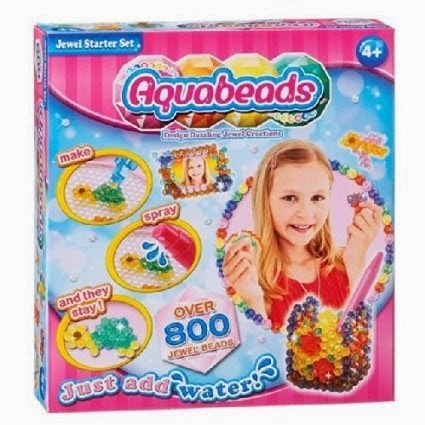 The Aquabead jewel starter set is for children aimed 4+ and is worth every penny of its £10.99 price tag as it provides hours of entertainment and would make a great Christmas gift! You can find more template designs to download and use for free on the Aquabeads website HERE. Have you ever tried Aquabeads before? 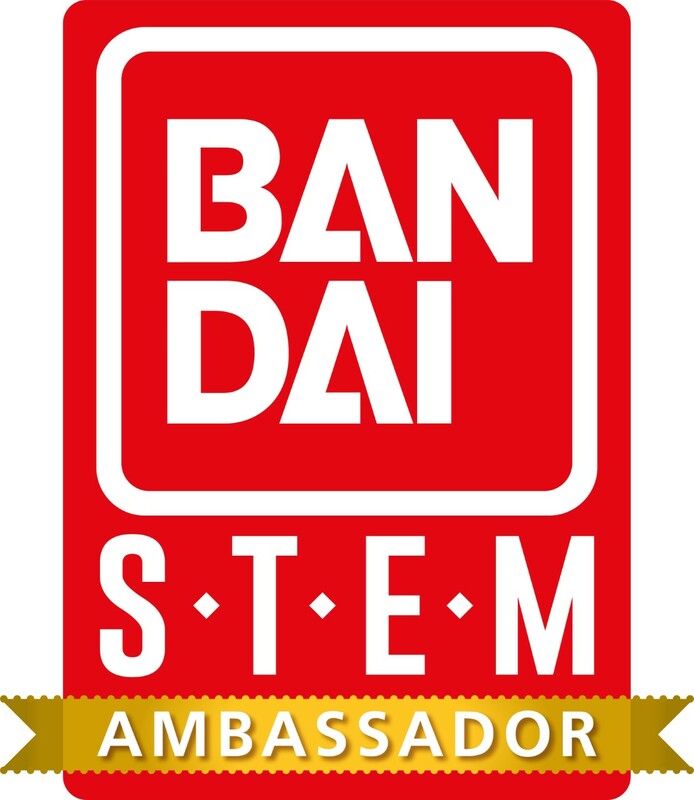 If you have what have your children made with their kits? 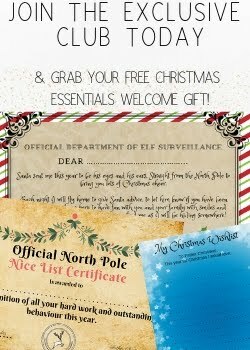 Aw we used to love these - I think we still have some somewhere! Oh mine would love this. I'm not keen on the packaging but the contents look great. My daughter got given some of these and being very messy and untidy I keep finding the beads around the house! I like the look of them my little girl would love them. my littlest two love these! These are like the Hama beads I was obsessed with as a kid! How fun.